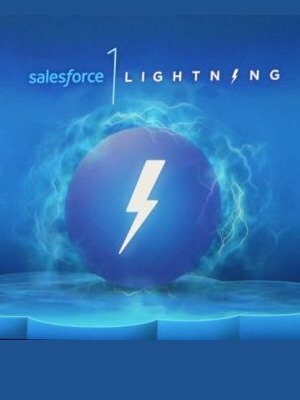 Today Salesforce is launching Salesforce1 Lightning Connect, the fastest and easiest way to integrate with data stored in legacy enterprise back-office systems. Let me put this in context: today’s announcement is a significant step forward on its new strategic path. In my last article on Dreamforce in Review, I wrote about significant developments in Salesforce’s corporate direction with its revolutionary introductions of Salesforce Wave and Lightning. Wave provides easy-as-possible analytics for all users in an organization (Salesforce.com is no longer just online sales data for sales people), while Lightning is a way for every employee in an organization to be able to build mobile apps at lightning speed (as opposed to this being an exclusive for IT developers). Today’s announcement is about technical developments for data integration. Data integration is a prerequisite to realize insightful business analytics. So, Lightning Connect is a major move in the big picture strategy of Salesforce and it comes in response to existing demand. The need to connect legacy data to Salesforce has grown as customers use an increasing number of external data sources in the Salesforce ecosystem. “Now customers can extend all the benefits of the Salesforce1 Platform to all of their enterprise data—whether it’s stored in Salesforce or another system.” said Mike Rosenbaum, EVP and GM Salesforce1 Platform, Salesforce. How is Lightning Connect Revolutionary? Lightning Connect will change the way companies access and connect with data stored in legacy systems. Lightning Connect can bring legacy data come to life. Unlike other integration tools, it can be configured in minutes with point-and-click tools. Real-time. All data’s all up-to-date, as it does not copy nor store outdated data in Salesforce. Successful business management relies on insights derived from integrated data. Yet, data integration has always been a challenge for CIOs and IT departments. In fact, in a recent survey by Confirmit, nearly half of all CIOs said data integration is their #1 pain point . Integrations can be complex and expensive, taking a long time to build. Salesforce Research conducted July – August 2014 by an independent third-party Confirmit. Sample Size = 564 respondents / 1,801 responses. Data shown is % of respondents. Gartner, The State of Data Integration: Current Practices and Evolving Trends, Eric Thoo, Ted Friedman, Mark A. Beyer, 03 April 2014. 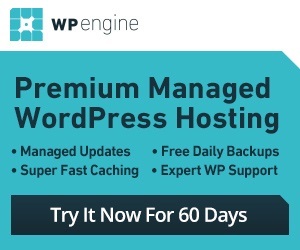 ● Fast: Integration can now be completely code-free, allowing any user to quickly connect data with just a few clicks and not spend months or years on integrations. For example, sales organizations can bring order data from external apps into the Salesforce Sales Cloud1, enabling sales executives to check order status on the go from the Salesforce1 Mobile App. ● Real-time: Data is not copied and saved in multiple places. With Lightning Connect, business users gain access to up-to-date information, so they can get on with running their business, and IT can stop managing multiple data silos and complex integration projects. For example, with Lightning Connect, companies can process customer returns and see them in the Salesforce Service Cloud1 in real-time, enabling them to support every customer with ease. 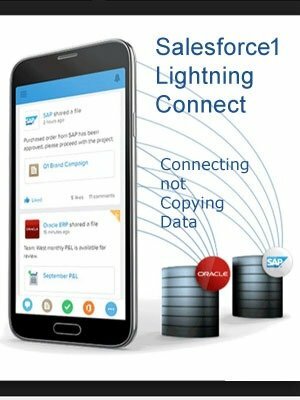 ● Extensible: Lightning Connect unleashes the full power of the Salesforce1 Platform and makes it easy to take data that is outside of Salesforce and treat it like it is in Salesforce. Users can search across external data, use it in Visualforce and Apex code to build custom apps, and relate it to customer data within Salesforce. 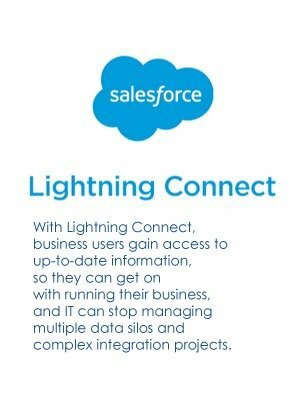 Lightning Connect is a new breed of real-time data integration that takes full advantage of the Salesforce1 Platform capabilities. Built on OData, an open data access protocol, Lightning Connect is the first Salesforce integration solution built on industry standards. To deliver Lightning Connect, Salesforce is partnering with leading integration vendors like Informatica, Jitterbit, MuleSoft, Progress Software, SnapLogic and SoftwareAG. They collectively have built an extensive library of adaptors for Lightning Connect, making integration with Salesforce easy, in just a few clicks. Their expanded solutions include support for OData and Lightning Connect, making integration with Salesforce easier and more powerful with real-time data. With the Salesforce1 Platform, the world’s #1 PaaS, companies can transform IT departments into centers of innovation and leapfrog the competition. With more than four million apps and 1.8 million developers, the Salesforce1 Platform is the trusted and proven platform for innovative companies around the world. Priced at $4,000 + per month (depending on number of data sources), Salesforce1 Lightning Connect is for the Enterprise. It is generally available now. Salesforce1 Platform is included with all user licenses of Salesforce CRM. Source: Salesforce Customer Relationship Survey conducted March 2014 – May 2014, by an independent third-party, Confirmit Inc., on 4,100+ customers randomly selected. Response sizes per question vary.